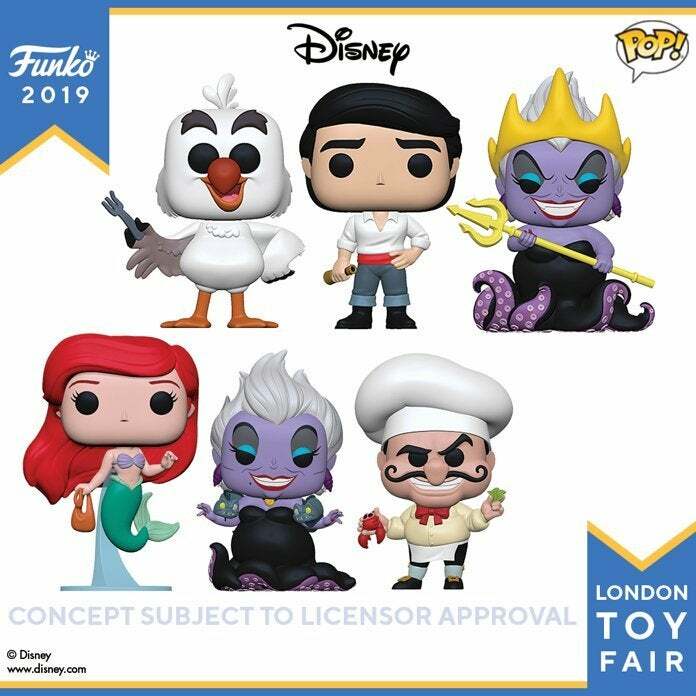 One of the big releases in the early hours of Funko's day of London Toy Fair announcements is this new collection of merch for Disney's The Little Mermaid. You can pre-order the entire wave of new Pop figures, Mini figures, and 5 Star figures right here with shipping slated for August (note that new releases will be labeled on the product page as "New Pre-Orders / January 21st"). The complete breakdown of new The Little Mermaid Funko releases includes Pop figures of Ariel in a purple dress, Ariel with a bag, Ursula with her eels, Chef Louis, Scuttle with a fork, Prince Eric, and a whopping 10-inch tall Pop of Ursula. Beyond the Pop figures, you'll also find 5 Star figures of Ariel, Ariel as a princess, and Ursula as well as a collection of mini figures. Head on over to our Funko London Toy Fair master list to keep track of all the new Pop figure releases and where you can reserve them for your collection. You can also check out our Funko page for details on standout waves like the new The Little Mermaid collection.